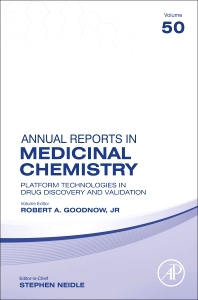 Platform Technologies in Drug Discovery and Validation, Volume 50, the latest release in the Annual Reports in Medicinal Chemistry series, provides timely and critical reviews of important topics in medicinal chemistry, with an emphasis on emerging topics in the biological sciences. Topics covered in this new volume include DELT, Oligos: ASO, siRNA, CRISPR, Micro-fluidic chemistry, High throughput screening, Kinase-centric computational drug development, Virtual Screening, Phenotypic screening, PROTACS, Chemical Biology, Fragment-based lead generation, Antibody-Drug Conjugates, Antibody-recruiting small molecules, Deuteration, and Peptides. 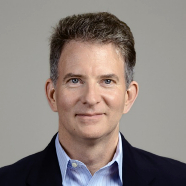 Robert A. Goodnow, Jr. is currently Vice President, Chemistry Innovation at Pharmaron, Inc in Boston, MA. He completed a Ph.D. in bioorganic chemistry at Columbia University, New York, USA, followed by postdoctoral training at Princeton University, New Jersey, USA. He has worked at Roche and AstraZeneca, focusing on new lead and target discovery as well as implementing chemistry technologies in support of early drug discovery. He is the editor and author of The Handbook of DNA-Encoded Chemistry, which was published in 2014 by Wiley.